As described in the previous post, I categorized my first novel "Pursuit" as a Metaphysical Fantasy. When I set it up on CreateSpace the BISAC code used was "Fiction / Visionary & Metaphysical". So I was pleasantly surprised when I found by chance the Visionary Fiction Alliance. This so fits my books genre and I am excited to be in touch with other Visionary fiction authors and readers. 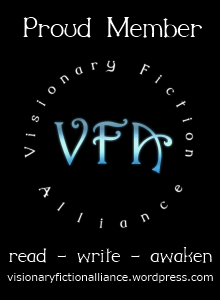 The Visionary Fiction Alliance is a group of visionary fiction authors who seek to promote and support each other in getting their work publicized and known. They provide a platform where readers of visionary fiction can meet and get to know the authors and their books. Why not stop by and check out those authors and their books. If you like Pursuit, you'll find these offering a similar read. These are books which tell stories about awakening, finding purpose, inner strength and a life beyond.